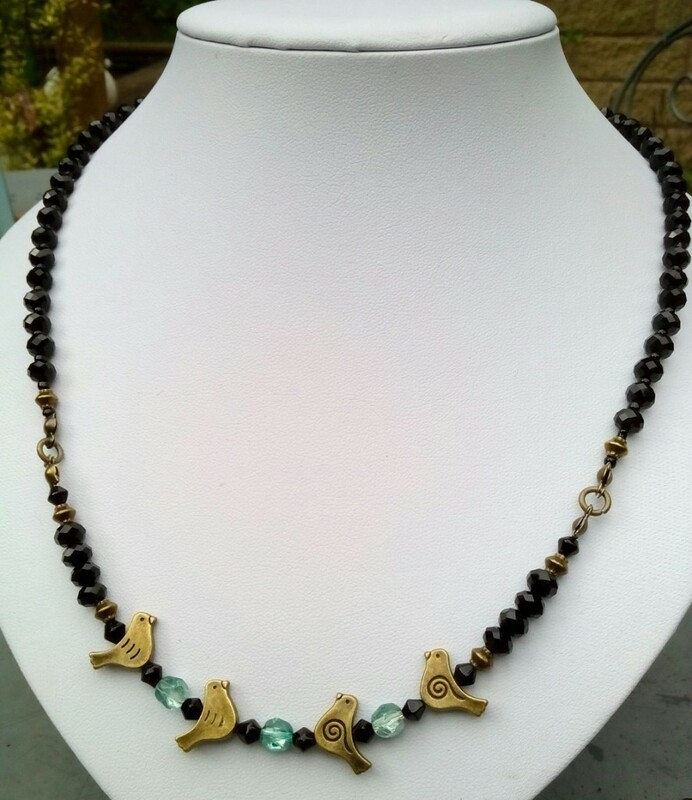 Multi faceted black crystals, shimmering aqua glass beads and cute bronze toned birds combine to make this elegant piece. 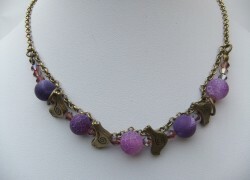 Trigger clasp, length approx 22″. 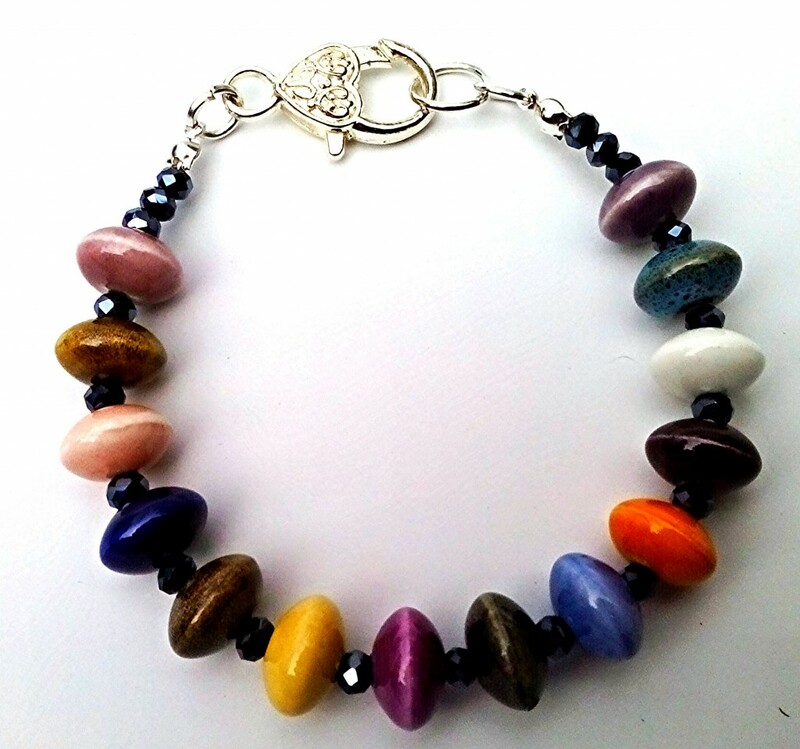 Bronze tone birds sit between purple Cracked Agate and crystals. 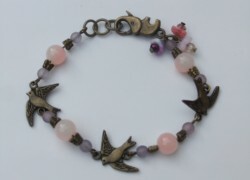 Trigger clasp with a sweet hare charm. 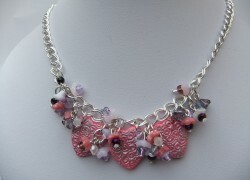 Length approx 17 inches. 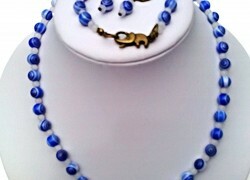 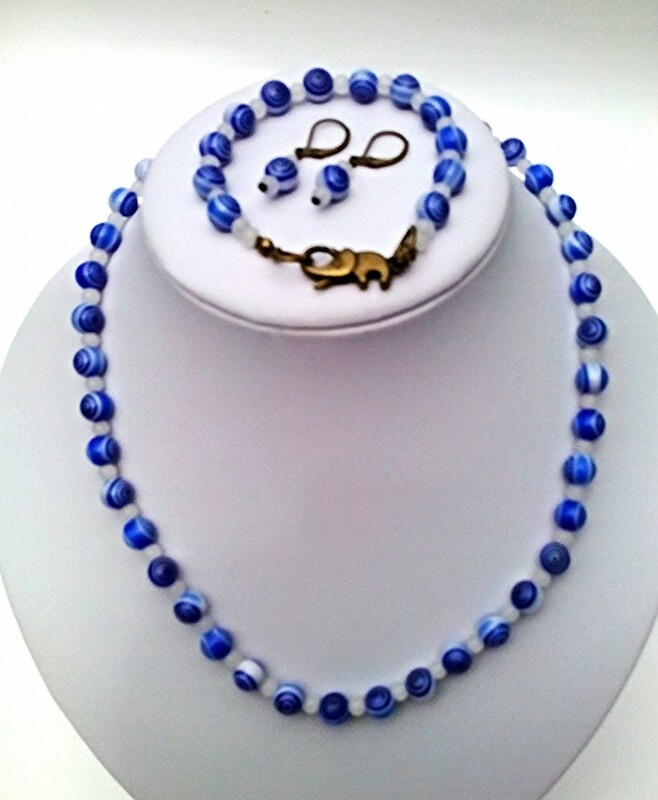 Unusual blue and white swirly glass beads, cute elephant trigger clasp. 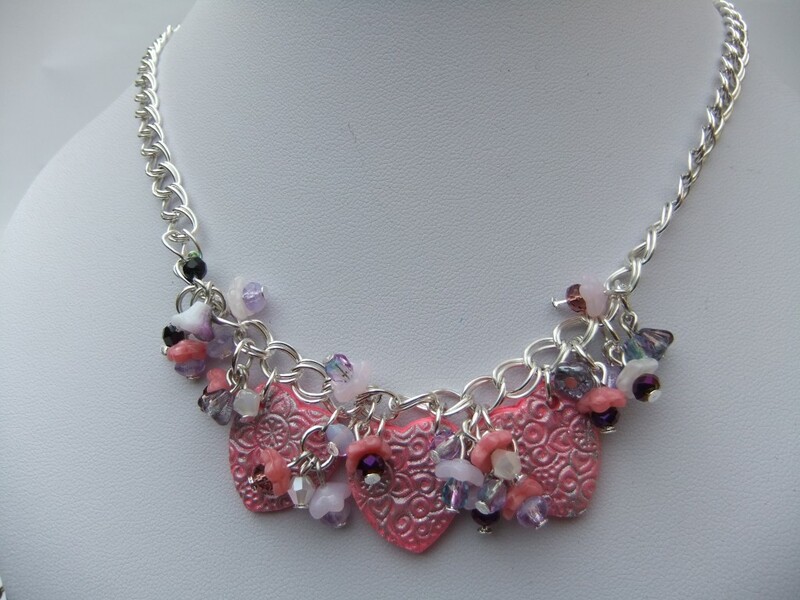 Necklace length approx 18 inches. 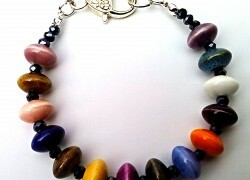 Bracelet length approx 7.35 inches. 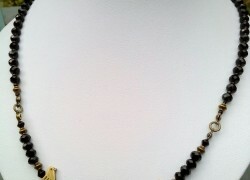 Lever type earrings.